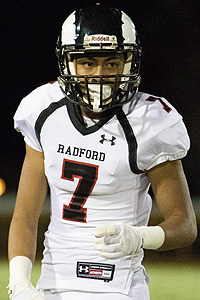 Running back Ace Faumui was the trump card that the Radford Rams could pull out whenever the chips were down. Despite never starting on offense, Faumui finished as the state's leading rusher in Division II and is the ScoringLive All-Hawaii Division II football team's Offensive Player of the Year. 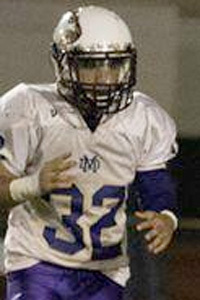 The 6-foot-3, 205-pound senior blended a physical running style with his deceptive speed to finish with 1344 rushing yards and 18 touchdowns on 151 carries. 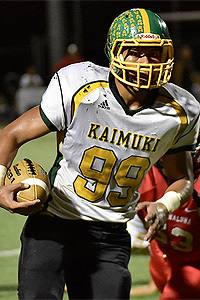 Faumui, who was a second-team selection as a member of the Kalani Falcons in 2014, topped the 100-yard rushing mark in seven games this year and helped lead the Rams to a perfect season and their first state title in school history. 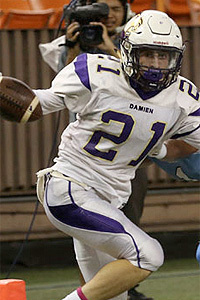 "He's a tough runner," said Pearl City coach Robin Kami. "He's very hard to tackle, and if you do try, he'll run over you. His speed is discreet. He doesn't look fast, but when he gets to the outside he's gone." 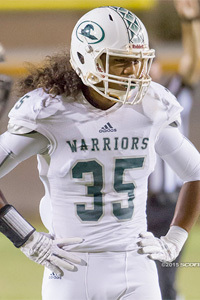 In the state title game against Kapaa, Faumui was able to score twice against a Warriors' defense that hadn't let up an offensive touchdown heading into the matchup. 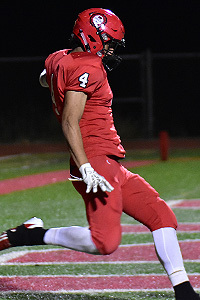 The senior running back caught an 8-yard touchdown pass with one second remaining in the first half and added a 45-yard rushing score in the fourth quarter to help ice the game. 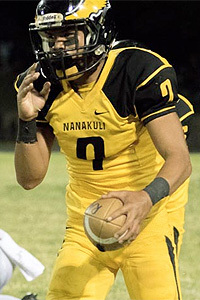 "That's the one that's still stuck in my head, I thought we had him twice on that play," Kapaa coach Philip Rapozo said on Faumui's touchdown run. "He looks faster than he does on film. 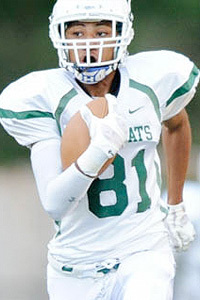 He has good vision, good speed and is definitely one of the better running backs in the state." 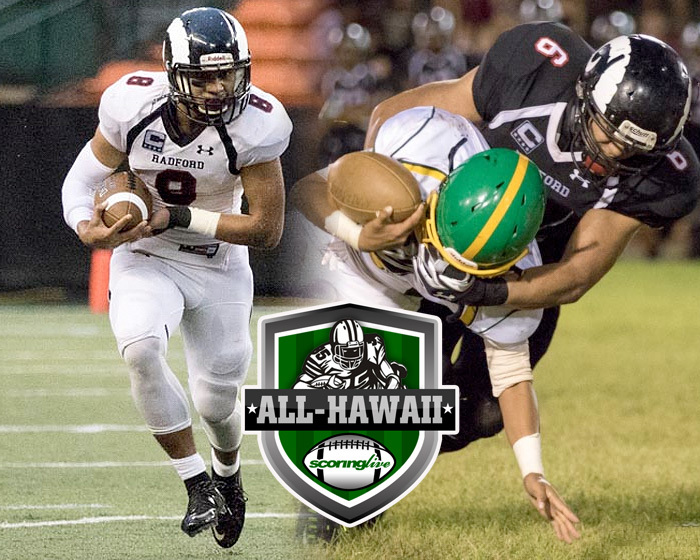 Download a printable version of the 2015 All-Hawaii Division II Football team. 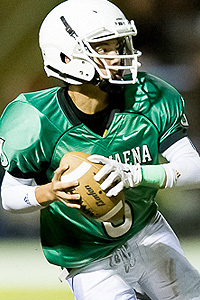 Konawaena quarterback Austin Ewing also received consideration for the award. Middle linebacker Jordan Walker was the backbone of one of the best run defenses in the state. Most of the talk regarding the Rams' stellar season revolves around their high-scoring offense, but it was the defense that paved the way for the team's success. 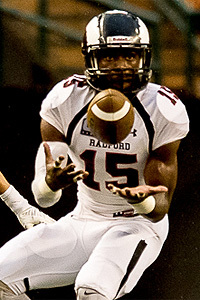 In 13 games in 2015, Radford posted four shutouts and gave up just one touchdown in six contests. 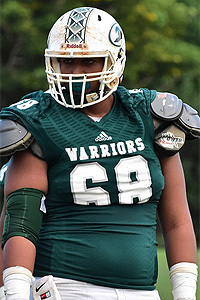 As the captain of unit, Walker was selected as the ScoringLive All-Hawaii Division II football Defensive Player of the Year. 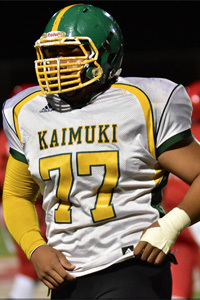 "He's one of the players that most schools would love to have be that anchor," said Kaimuki coach David Tautofi. "I've watched how he communicates wit his defensive line, secondary and linebackers. You can't teach a lot of the stuff he does on the field communication wise. He's a special player for sure." 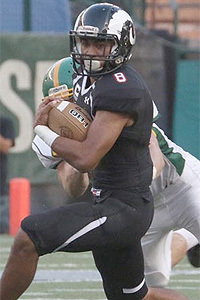 Walker, who was a second-team All-Hawaii selection in 2014, clogged running lanes and was one of the main reasons why the Rams were able to hold opponents to just 9.6 rushing yards per game this season. 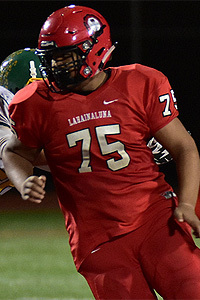 "He closed all the doors on us," said Kapaa coach Philip Rapozo. "He just stuffed up the middle and wreaked havoc. 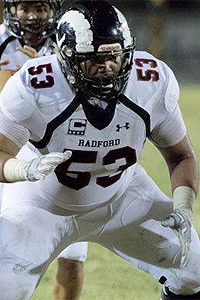 That kid will go someplace on the Division I level." 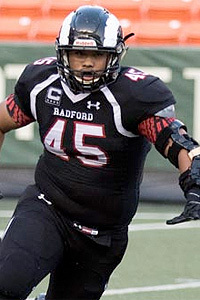 The 6-foot-2, 225-pound junior rarely was out of position and had tackle for losses in the four postseason games that the Rams played in. 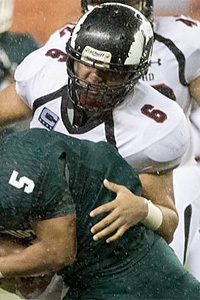 According to Radford coach Fred Salanoa, Walker had six sacks in a 23-0 playoff win over Waialua. "Jordan is a real smart kid," said Pearl City coach Robin Kami. "When he blitzes, he times it real well so it's hard to pick him up because he hits the right hole at the right time." 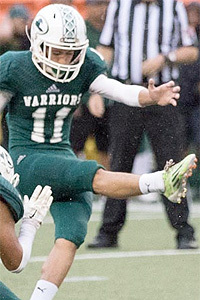 The Konawaena football program had its best season in school history in Brad Uemoto's first year at the helm. 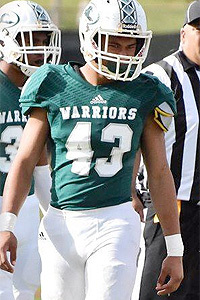 With Uemoto, a 1997 Konawaena graduate, moving over from an assistant and offensive coordinator to head coach, the Wildcats were able to notch their first ever state tournament win with a 42-33 first round victory over Damien in the Division II tourney. 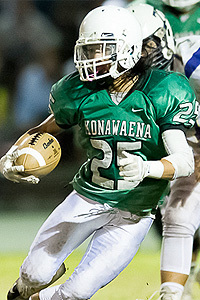 Konawaena also reclaimed the Big Island Interscholastic Federation Division II and finished the season with a 11-2 record. 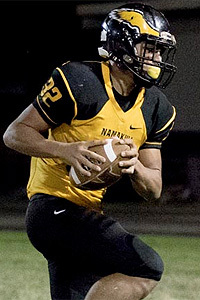 The team avenged its only loss of the regular season, a 24-0 loss to KS-Hawaii, with a 44-21 victory over the Warriors in the BIIF championship game. 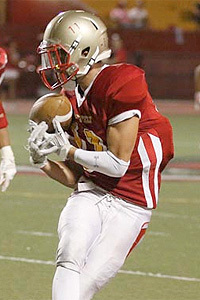 The Wildcats counteracted their lack of size of depth with an electrifying, up-tempo offense that could score on any given play. 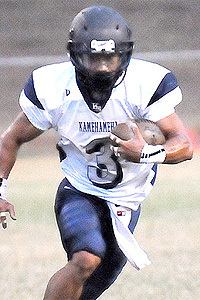 Konawaena went 4-0 against the Division I teams in the BIIF and outscored league opponents 355 to 110. 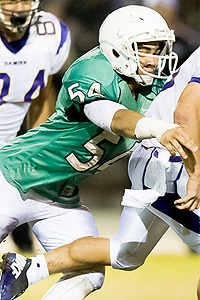 "They play at a pace that is tough for anybody to keep up with," said Damien coach Eddie Klaneski. "I just think they're a well-coached bunch of kids. They only have 40 something guys and have a bunch of two-way guys, but they play tough. It doesn't look like they ever got tired." After defeating the Monarchs in the first round the Wildcats faced the top-ranked Radford in the Division II semifinals. Konawaena held its own against the eventual state champions, losing in a thrilling 48-46 shootout. 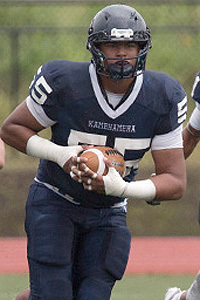 "He's very humble and is just a good man," Kapaa coach Philip Rapozo said on Uemoto. "I think he's proven that his offense is a power house and I think he's going to be a guy to reckon with from here on." 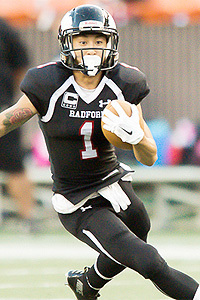 Uemoto edged Radford coach Fred Salanoa for the award.